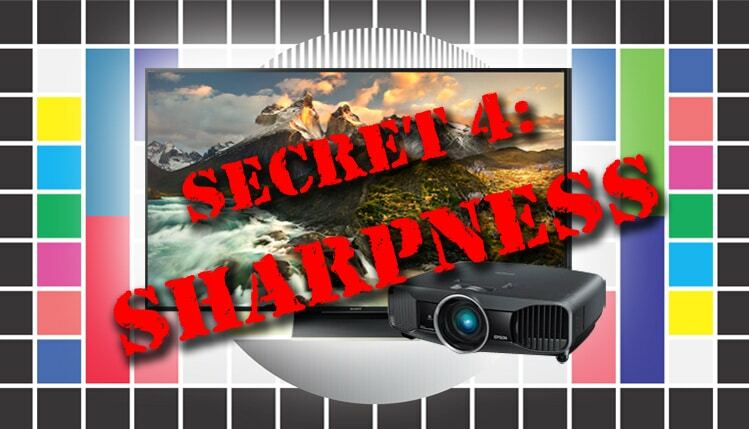 The fourth secret to getting the best picture quality is TV sharpness. It is probably the most confusing secret of all the picture quality fundamentals we will be exploring. Here is where the confusion usually is: Perceived image sharpness is not the same as resolution or the total number of pixels – although there is a correlation. Many people, for example, are being told that a 4K TV is four times the quality of HD. The reality is that if you were to take two full HD images, flat screen or projected, and have them at the same sharpness (and without some of the new intelligent detail enhancement that we will talk about in a minute), most people would have a very difficult time seeing any difference between the two images. Here’s the really interesting thing: even if one of the images was UHD (ultra hd) or so-called 4K resolution, and if the two images (one full HD the other 4K) were watched at the same distance, most people would have a hard time telling the difference. However, if the sharpness, or fine detail enhancement, was better on either of the two examples above, almost anyone could see the difference. Here is an example of a landscape (also on the Extron Shootout disc) that has been slightly modified (edge sharpness reduced) to show the effect of what good image sharpness can do for an image (below). View at a screen size of at least 8″ wide if possible. Here the detail and perceived picture quality is much higher and you can see detail in the leaves and detail in the rocks and grass. This example is very balanced if your monitor or display is set to its optimum settings. This is an example of too much sharpness and a detail setting that is too high. Sometimes we call this a cartoon or artificial look find more information. It may look sharp at first glance, but to watch a movie or TV program in this mode is very annoying for most people. There is no fine detail or texture to this image. View at 8″ or larger. The last image above is a good example of what many TVs look like at many retail stores. Why? Each manufacturer is trying to grab the attention of the prospective customer and they will sacrifice true best picture quality for a very high contrast, high color, and overly enhanced or sharpened image to make their TV stand out to the typical walk-by in-store traffic. The sad thing is that many people will purchase the TV based on what their first impression was and not from a more critical or researched evaluation first – and when they get it home and plug it in with the “out of the box” settings they never really see the true potential or best picture of the TV or projector. Most manufacturers also have a lot of auto features and noise reduction features that can further reduce the quality of the image. Most “auto” settings are determined to get the attention of the shopper from a distance and very rarely are the best settings for actually watching a program. So, how do we get the best picture settings or quality in a new TV or projector? Here’s a few key points to consider. 1. In the last few years there are newer and much more effective sharpness and detail processing circuits in many manufacturer’s top tier products that take into account the texture, contrast, and color of an image. I call these new methods of image sharpness Intelligent Detail Enhancement – with names like X- Reality Pro, Super Resolution, Darbee Vision, and Digital Reality Creation. How good are they? Some are very good and some are a lot of hype. See the downloadable version of this article for more information and how to test. 2. Almost all TV’s and projectors have at least a sharpness control. Setting this level to mid point or low is generally safer than putting it too high as an overly sharp image is generally much more distracting and annoying to watch than a slightly-under or normal sharpness setting. Although seen less in projectors, most TVs come out of the box with a setting that is way too high for normal watching at normal viewing distances. This image is an example of one of the new Intelligent Detail Enhancement features that take image sharpness to a whole new level without the downsides of traditional sharpness controls. It takes into account and actually analyzes the image texture. color, contrast, and gamma based on an internal database, and applies image enhancement without using the sharpness control. 3. Picture Sharpness is related to, but not the same as, resolution or pixel density. The ideal picture is a combination of high resolution and good or very good image processing with Intelligent Detail Enhancement. This combination can be very dramatic and can even exceed the look of a 4K resolution picture with full motion – and in some cases even 4K with HDR (high dynamic range) contrast. 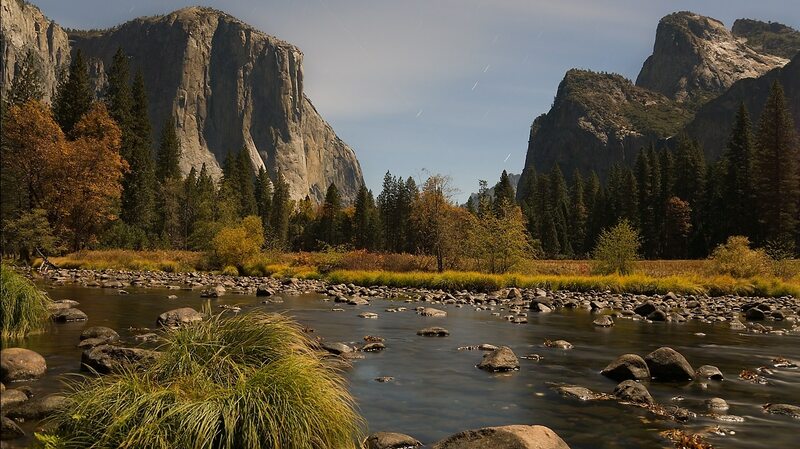 To gain additional insight in to HDR (High Dynamic Range), the new intelligent detail enhancers, and to learn more about all five secrets, download the full version of this article. Ted Bollinger has been in the professional display and electronic imaging industry for over 40 years. He has worked with and consulted with most major manufacturers’ engineering representatives of professional and consumer flat screen TVs and projectors. He is currently with TVS Pro and serves as the manager for professional display products. This entry was posted in AV Solutions, Home Theater and tagged best picture, best picture quality, best projector, best TV, flat screen TV, projector, projector quality, secrets, sharpness, tv color, tv quality.